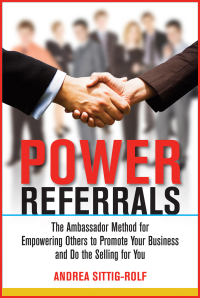 Power Referrals shares the lessons Andrea has learned as she has succeeded in developing her business, building powerful relationships, and creating unique strategies around new business development. 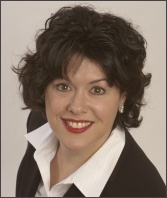 If you want to learn how to empower others to promote your business and do the selling for you, Andrea will show you how to do it here, in the pages of her newest book, to be released in October, 2008. "Wow, Andrea nailed it! Relationships and networking are so vitally important to our success and her insights are relevant, practical, and so true in today's sales world. Winning Ambassadors is the secret sauce to achieving your next level of sales success!" Copyright © 2019 Sittig Inc. All rights reserved.